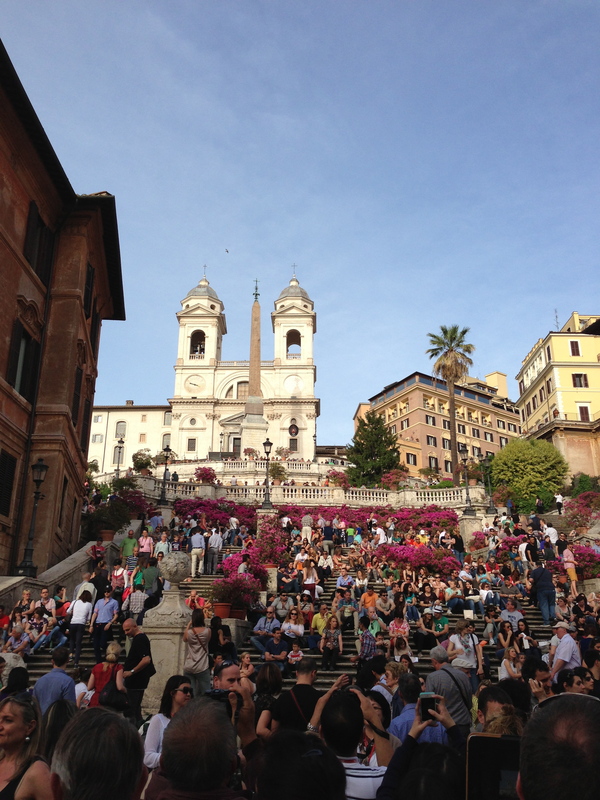 Rome if you want to…. 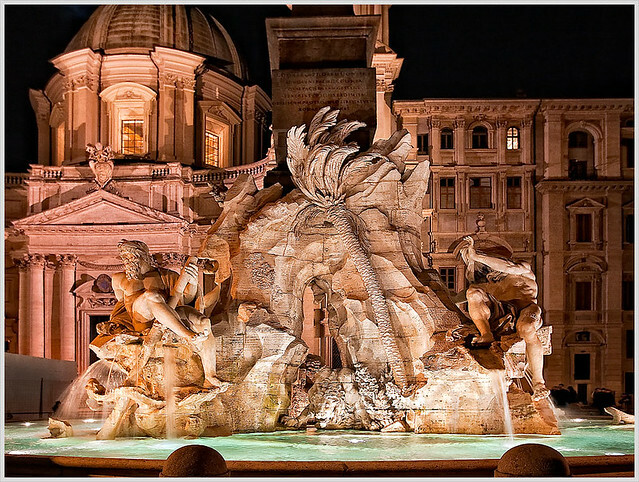 Rome around the world…. couldn’t resist. 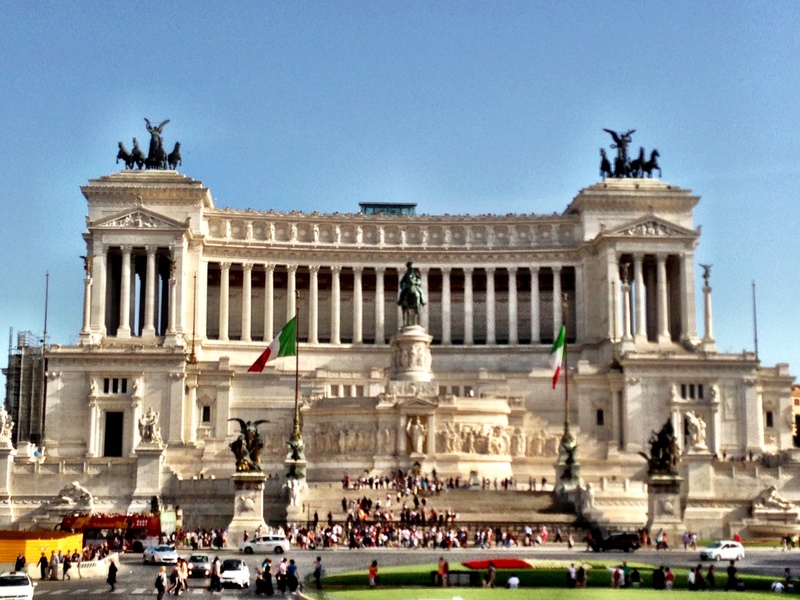 The final installment of my Italy trip was Roma. Rome in a weekend- well, less than a weekend. I was there for about 48 hours. What is a visit to Rome without the Colosseum? My multiple viewings of Gladiator wasn’t for nothing (ok, those were Russell Crowe’s best years)… The Colosseum is a must-see (despite all the crowd craziness) because it is the freakin Colosseum. The Original. Those Romans invented a seating chart that is still in use today. Nobody has invented anything better. It is weird to think that they watched gladiator matches there for 300 years before the church shut it down. There were literally generations that lived in the times of that brutal sport. I feel the Colosseo will one day have the same fate as Stonehenge… people will not be able to walk among the corridors of the stadio because of its age and breakdown. It is still amazing how much is left standing and that it is safe for people to walk about. So if you haven’t already (I feel like many of you already have) take a walk around the Colosseum. It is a marvel. 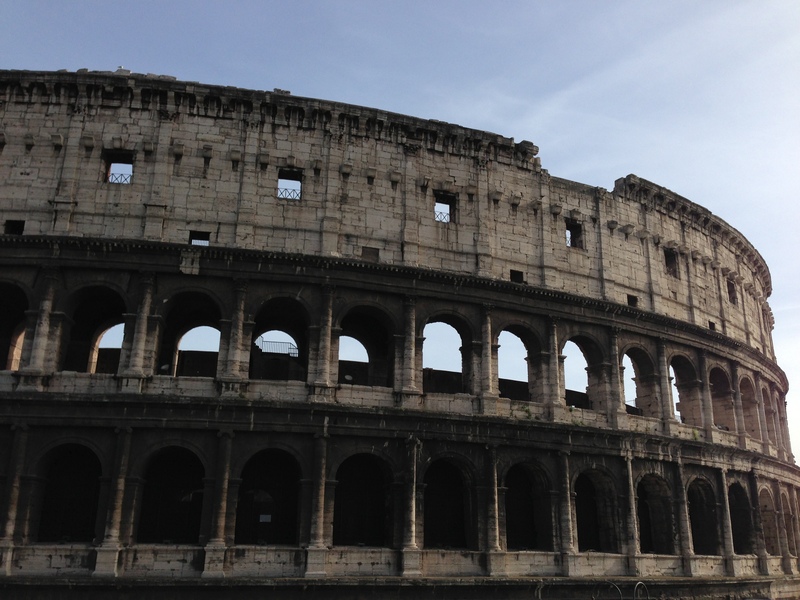 I wish I had had more time to explore Rome… I would have poked around Ancient Rome a bit more. It looked pretty cool and interesting. I put it on here because I did manage a couple pics via the Hop On Hop Off Bus. More on that later. I still don’t get them. Who gets them? Ok they lead the Piazza with the Spanish Embassy to the church. How many churches and piazzas are there again in Italy? A lot. At the base of the steps is a fountain, and all your Rodeo-drive shops. Or your Caesar’s Palace shops. Perhaps that is a better comparison. Ok, I guess they are known as the widest staircase in Europe. Although that’s not saying much considering most of European steps are tiny. I mean Harry frickin Potter lives under the stairs. Europe is tiny. They did doll up the steps with pretty spring magenta flowers, so that was nice. And they threw a couple of palm trees in there. Overall thought- too many people for a bunch of stairs. But I can check it off the ol list. The Trevi Fountain is pretty amazing. And cool. We popped a squat and drank champagne listening to the cascading water and the 1000 people who were surrounding us. The Fountain came about because that area is actually a couple (or a few) aqueducts meeting in one spot and ending. Apparently it was constructed in 19 BC. Yes, 19. There are no more digits after that. It is gorgeous and mesmerizing. 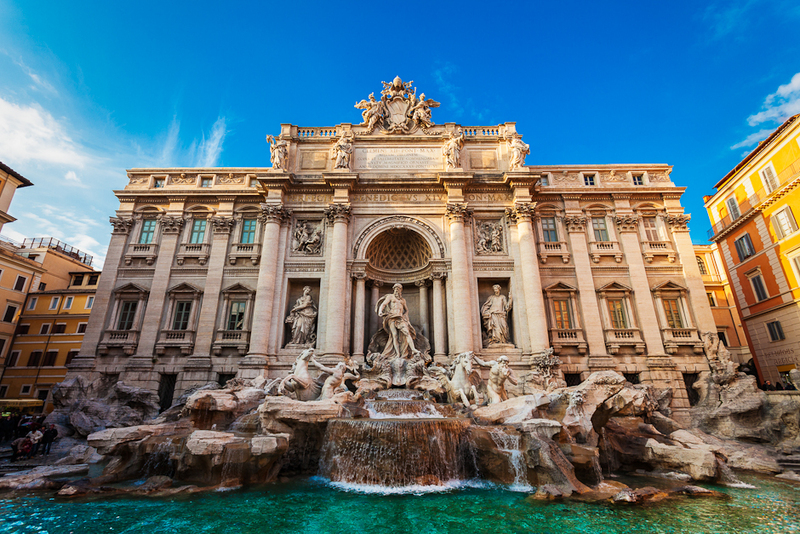 The spring water shooting everywhere around it gives you the opportunity for a drink if you’re thirsty, and legend has it if you toss a coin over your shoulder and it lands in the fountain you will return to Rome. I did not toss a coin, although now I wish I had. Night one ended with pizza dinner in a teeny tiny plaza located near Piazza Navona. I don’t know the name of the place, but the bruschetta sampler was amazing, and pizza was pretty good- but not anything like the place in Volterra. The tiny piazza was packed with tons of people, and if we weren’t so carb loaded, I think we could have had some fun just hanging out there. A couple turns to the right and we ended up in the gorgeous Piazza Navona. One of my favorite fountains stands on this former stadium’s grounds- The Fountain of Four Rivers. We got up early to set about the city/country/state of Vatican City. If you have about $50 it’s definitely worth it to skip the lines. The only bummer about the tour is they literally push you through one museum, the Sistine Chapel, and the Basilica and shoot you out the door. No time to just wander around. Had I known, I would have just broken off of the tour. The Vatican campus/city is impressive, although I didn’t see much of it because I stuck to the tour. We went through one of the corridors of the Musei Vatican, the paintings of the Italian states and tapestries of religious stories. We were able to see the courtyard for a brief moment, and spent some time in the Sistine Chapel, where we were able to see with our own eyes the famous fresco fingertips touching in The Creation of Adam on the ceiling. St Peter’s Basilica was pretty insane. Ornate, cavernous, and bedazzled. With gold-leaf. Everywhere. Pope John Paul II is laid to rest in the basilica, and Michelangelo’s other famous sculpture, Pieta, resides within. 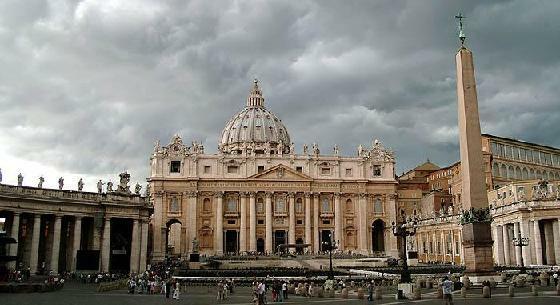 It is pretty impressive structure, and piazza… all for the name of Catholicism. I do find it interesting for as poor and humble as Jesus is described, the church was exactly opposite that in lux splendor. I have jumped aboard the hop on hop off bus in numerous cities, and when I realized I really only had half a day left in Rome, I hopped on. What’s great about the bus is that is stops at all the places a tourist would want to see. We just stayed on the bus the whole time for the ride and zoomed past the other points of attraction in Rome. For a complete guide, check out their Web site. 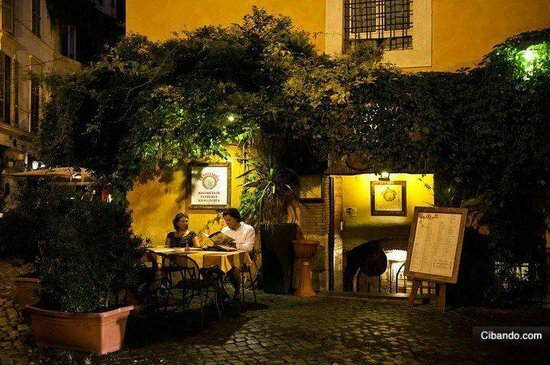 Later that night, we went to dinner in the Trastevere area of Rome… the ‘trendy’ part of town. Our restaurant was a former prison, we came to find out, and we opted to order the pre-fixe menu… which meant we were not going to be able to function after eating this five-course meal. And that was the truth. We ended up walking from Trastevere back to our hotel near Vatican City. I wish I could say more, but I was exhausted, and too full to pay attention!! Taxis– Apparently Taxi drivers totally want to rip you off. They didn’t rip me off thank goodness, but I was careful to get a cab with a meter. They are also very animated people. My cabbie got into a verbal altercation with another cabbie because I has chosen his cab. It got to the level of Godfather-hands- it was that escalated. It ended up being fine. 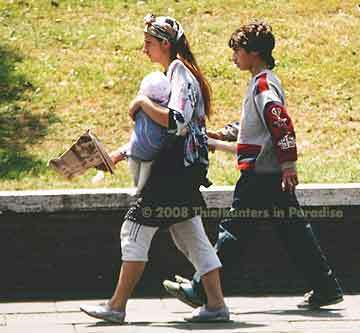 Gypsies– People warmed me about gypsies with babies who will steal your stuff. I avoided all baby people and just paid attention. I was fine. And I carried a bag and camera and everything. Are we in Vegas/Dinseyland/Playa Vista?– The creepy thing (and not Italy-creepy, me-creepy) is that everywhere in Italy, not just Rome, I kept feeling like I was in a fake town. “Ooh look at the faux finish on that place.” No, that is not faux finish. It’s real. Italian Stallions- Dudes in Italy are not huge by any means. In fact, they are small for the most part. And slender- which is amazing for all that pasta and gelato. So I saw no such thing. However, I know that studies have proven inside the pants is a different story. I didn’t get a chance to confirm that scientific study. 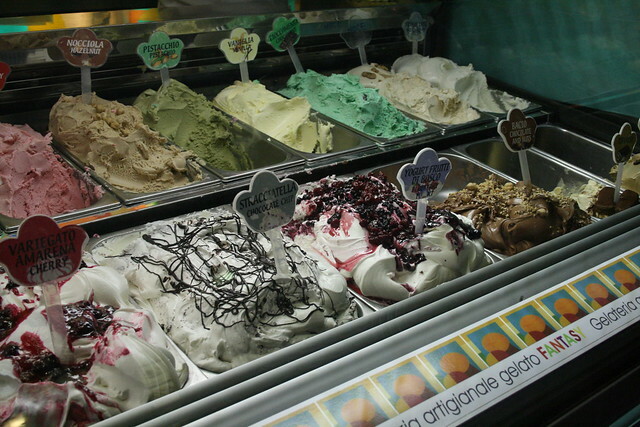 Gelato- My favorite gelato of the WHOLE trip goes to…. the little Gelato place near Vatican city that had Passionfruit gelato. That was insanity. 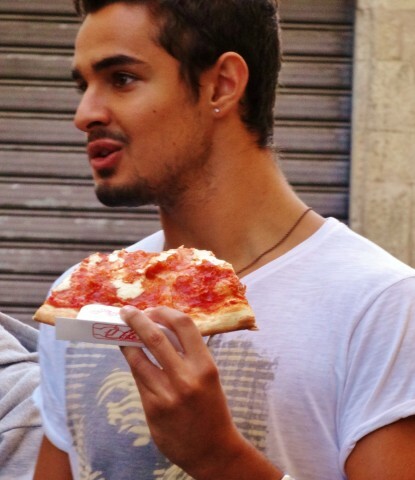 I liked Rome. I now wish I had seen Rome prior to my time at the farm, as going from rooster crows to elbow-to-elbow crowds was a bit jarring. But overall, outside of the tourist areas, it seemed like a cool city. Good vibe, like a place that would be fun to live in for awhile… hmmmm…..